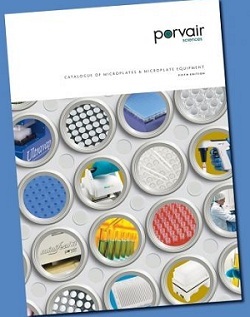 A COMPLETE range of automation-friendly microplates and equipment will be shown by Porvair and its local collaborator KBiosystems at European Lab Automation 2012 in Hamburg. Products on show will include the Universal Robotic Manifold, which is easily assembled and disassembled by robotic manipulators to facilitate the productive automation of SPE or DNA clean-up procedures. Working with collection plates between 14 and 44mm in height, and adaptable to short, medium, and long skirts and drip directors, the Universal Robotic Manifold can operate with many different brands of filter plate and collection trays. Also on display will be Porvair’s extensive range of deep well, shallow well, storage, assay, SPE, protein precipitation, and filtration microplates. These are precisely manufactured to comply with ANSI/SBS dimensions, ensuring complete compatibility with all automated sample handling systems, microplate readers, and washers. Ultravap RC, Porvair’s all new robot-compatible nitrogen blow down station, will also be shown. The company says this new version of its most popular sample concentrator makes it even easier to integrate automatic dry-down into an automated liquid handling protocol.